Solar power technology is moving from the roofs of homes to the tops of semi-truck and trailer combinations. The North American Council for Freight Efficiency believes solar panels mounted on tractors trailers can generate enough electricity to help power heating and air conditioning systems, liftgate operation, refrigeration and telematics systems. The technology is less useful for generating fuel savings, according to Mike Roeth, executive director of the North American Council for Freight Efficiency. The council presented its findings on solar panels and trucks in a webinar Wednesday. Fuel efficiency is an important issue for the trucking industry. With the average Class 8 truck getting just 6.4 mpg and traveling about 100,000 miles per year, any improvement in fuel efficiency could potentially save thousands of dollars each year. Solar only saved about $200 per year, according to the NACFE report, which drew its conclusions, in part, from research and interviews with fleets that use solar. Adding solar panels to trucks and trailers has become more feasible as the cost of technology has declined. “The usual reaction is, ‘What do you mean?’ There’s not enough space,” for the panels, Roeth said. But the technology is starting to roll out. Using the sun to top off or maintain the charge on a truck’s battery HVAC system means the truck doesn’t have to run the engine or plug in because its battery life is extended through solar charging. With drivers incorporating more appliances, such as televisions, refrigerators and coffee makers, into their cabs, solar can also augment the battery life supporting these sorts of hotel loads for longer periods of time. But the “slam-dunk” applications for solar, Roeth said, are maintaining the batteries on liftgates, refrigerated trailer diesel power units and trailer telematics systems that relay GPS, temperature and other data to the fleet. “The battery savings and the benefits to the drivers generally make solar something fleets should be considering,” Roeth said. Unlike the thick, hard solar panels used on most buildings, solar panels on trucks are thin and flexible to better fit their curved surfaces. But they also add cost, and the rate of return on investment varies. Some are skeptical of the technology’s application for trucking. Trucks don’t operate solely in sunny climates. The amount of sun they’re exposed to varies by time of day, geography and weather conditions, and that radically affects the amount of energy they’re able to generate. The NACFE report calculated one payback scenario — for a solar panel installation on top of a tractor to support a battery HVAC system. The cost and installation were $2,500 and the payback was about three years. The question is whether fleet operators think the savings justify the cost, said Michael Ramsey, a transportation analyst for Gartner Inc. 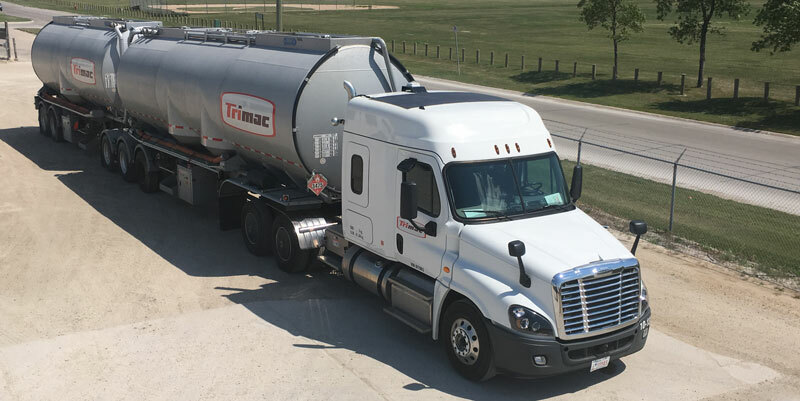 The average truck has a 10-year life span and travels about 1.3 million miles, but many fleet operators sell their trucks after four or five years of operation, before they may be able to recoup their upfront costs in long-term savings. …and they are every bit as ‘renewable’. I really dont see this taking off in the trucking industry at this point in time due to the low ROI. But it would be a better sales pitch when talking to RV owners. It’s good to see this APU-alternative gaining some coverage, though you gotta love how the oil pundits try to downplay it. We may not be in 100% unobstructed sunlight 100% of the time, but here’s where that argument falls apart; in places where it’s hot enough to justify running the truck’s main engine for air conditioning, IT’S USUALLY BECAUSE IT’S SUNNY!! Also, great job on citing the NACFE numbers (costs 2500, ROI in +/- 3 years) and then citing numbers from Gartner Inc (5000 for the cost, and 5 years ROI) to try and pull a fast one. Didn’t work on me, but it might work on someone who’s NOT paying attention. Better still, when trying to assert that solar panels won’t show a ROI, just leave out the figures that put the ROI point well within the “average truck replacement interval” you quote with no sources cited. It’s dishonest as **ck, but so is this whole article. And another thing: Taking the truck out of service JUST because the solar panels stop working?? So now we’re assuming that the truck’s engine doesn’t have an alternator? Hahahaha!! What a joke! Thanks for the good laugh, ya big-oil nutters. Keep it up. are you a solar panel pundit without a clue or just a troll? IF someone could build a solar a/c that actually works when you need it, doesnt weigh a ton at a reasonable price, that someone could not build enough to keep up with demand. I can improve that fuel milage of 6.4 mpg over 30%with a newly patented fuel adder device . At the same time reducing exhaust emissions,while increasing horsepower. Actually I use a APU ConfortPro with Diesel Engine 2 Cyls,,,and all is good,,,But remembering last winter everything was so hard all was bad,,,then if always need to prevent any issues like midle strong winter on northern Highway ,,,could be good idea a test with Solar panels on my Cascadia….The APU is expensive but working good,,,all was prepared to this next winter,,include truck engine was prepared,,,I’d like to see how’s work this Solar panels into extremely winter conditions.